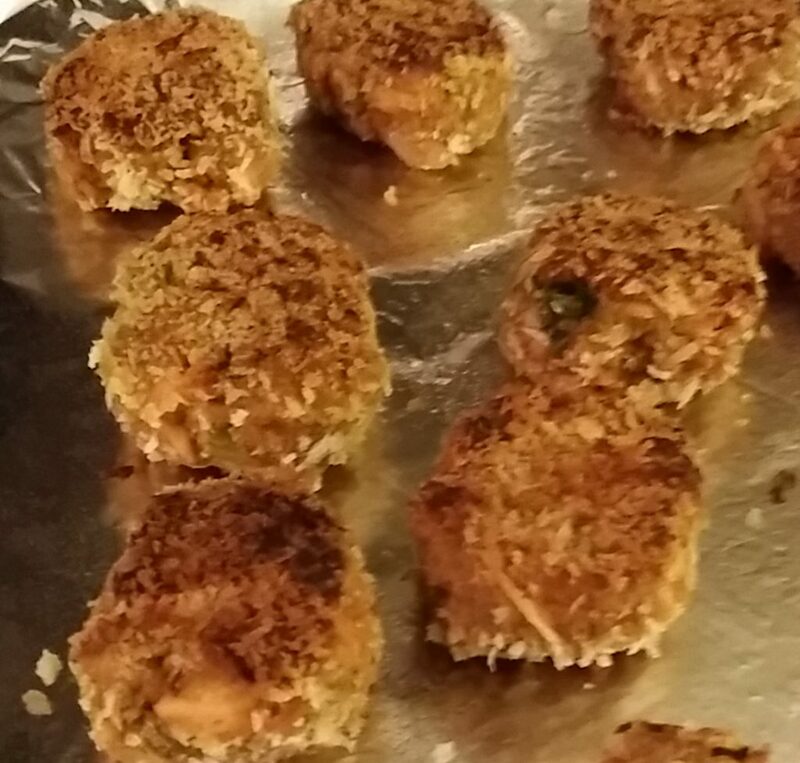 We had some leftover teriyaki grilled salmon the other night that wasn’t enough for a full meal, but just enough for a quick and relatively easy appetizer, sweet and spicy Asian influenced salmon cakes. 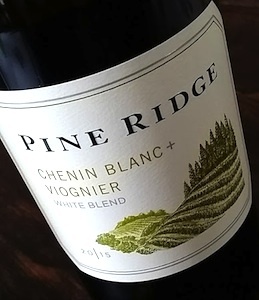 Serve with a fragrant, floral and stone fruit-filled white, like Pine Ridge Chenin Blanc / Viognier and your first course dinner party is complete. Grill the salmon over medium heat for 3 minutes per side. Set aside to cool. While the salmon is cooking make the sauce by simply mixing everything together in a small bowl and set aside until ready to use. If you are going to make the cakes ahead of time, holding them in a warm oven until ready to serve, hold the sauce in your refrigerator until ready to use. Meanwhile add the eggs to a mixing bowl and beat lightly with a fork. 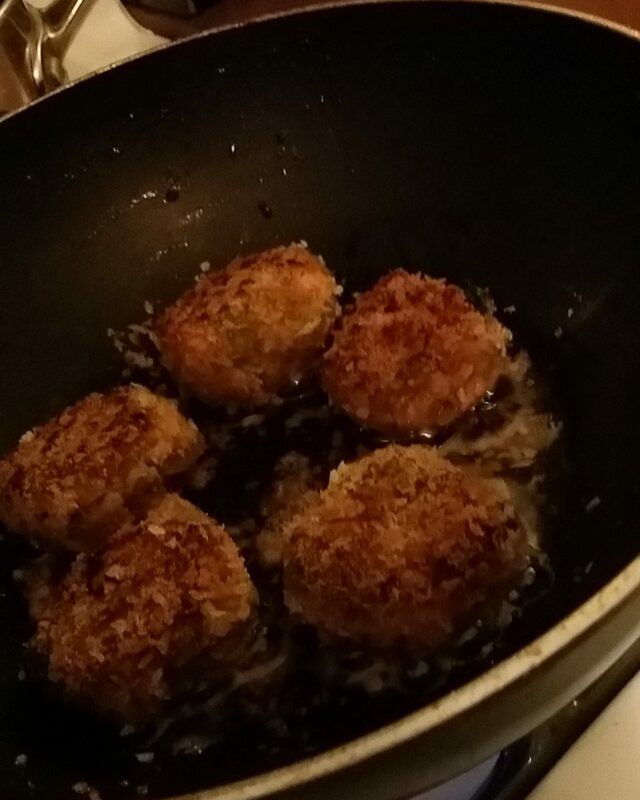 Let the onion mixture cool slightly, then add to the mixing bowl with the cilantro, Sambal, lime juice, breadcrumbs and green onion. Flake the salmon into the bowl and season with salt and pepper. Mix together lightly. Add about a cup of oil to the saute pan over medium-low heat. Using an ice cream scoop or a spoon form the salmon into cakes, about 2 ounces each for larger cakes, or an ounce each for smaller. Place each on a baking sheet. Add the Panko to a bowl and roll the cakes in the Panko, placing each back on the sheet as you prep them all. Drop each cake in the oil and cook on each side, turning once, for about 2 minutes. Do not overcrowd your pan, prepare them in batches so all of them turn golden brown in their own time. Place each cooked cake on a paper towel lined plate to drain any excess oil. Sprinkle very lightly with sea salt. Either eat right away, or hold in a low oven (250 degrees) on a baking sheet until ready to serve. 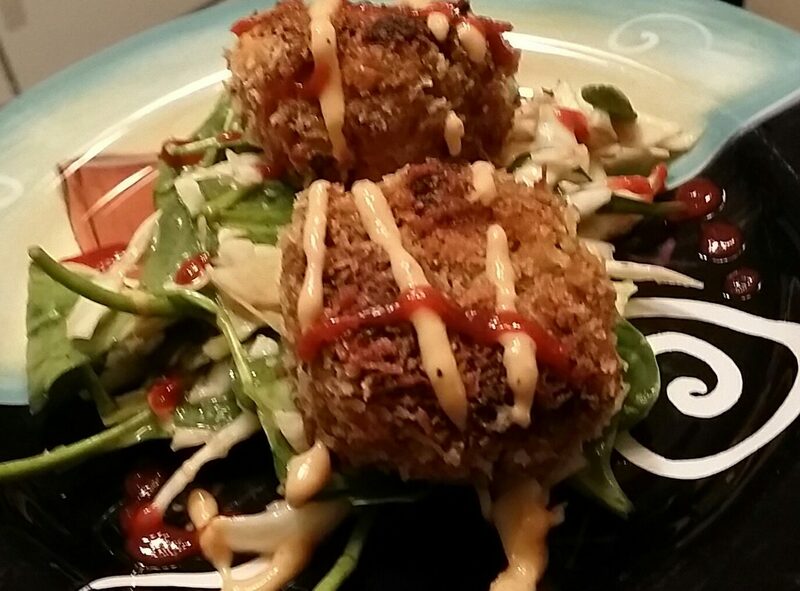 Serve by placing 2 cakes on each plate with a drizzle of the Siracha mayo sauce. If you like it spicy, add an extra drizzle of plain Siracha on top. Serve on their own or with an arugula & spinach salad and your favorite white wine.